Humans, we best watch out. Surgeons have used a robot to conduct eye surgery for the first time ever. The trial took place at Oxford’s John Radcliffe hospital and was published in Nature Biomedical Engineering. 12 patients were involved, half of them were operated on normally, while the other half were insane enough to say “yes” when asked if they’d be happy with a robot helping out. 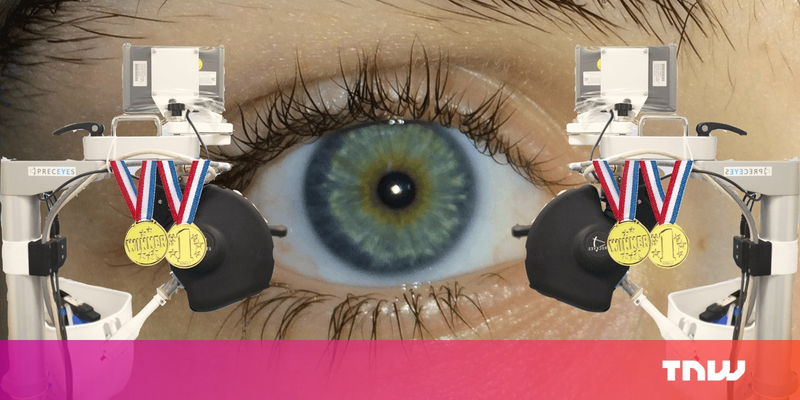 Using devices designed by PRECEYES, a Dutch medical robotics firm, the procedure involved removing a membrane from the back of the eye. Not a particularly rock’n’roll surgery, but, importantly, it was a success. Even though the median time for the robo-surgery was longer (four minutes and 55 seconds) than the regular method (one minute and 20 seconds), those involved could barely contain their excitement at the results. Specifically, they exclaimed how the surgeon using the robot was “able to perform the procedure with equal or better efficacy than in the traditional manual approach.” You can smell the jubilation. In other words, this technology might become key in treating forms of blindness. Bring on the future. What I really love about this news is that it’s not a piece of research or future-gazing, it’s actually happened. Machines have such huge potential in medicine, especially in delicate operations like this, so seeing it become a reality is heartwarming. For once, I’m actually happy with robots.